Are you looking for that unique piece to wear that will have everyone talking? Well, look no further! 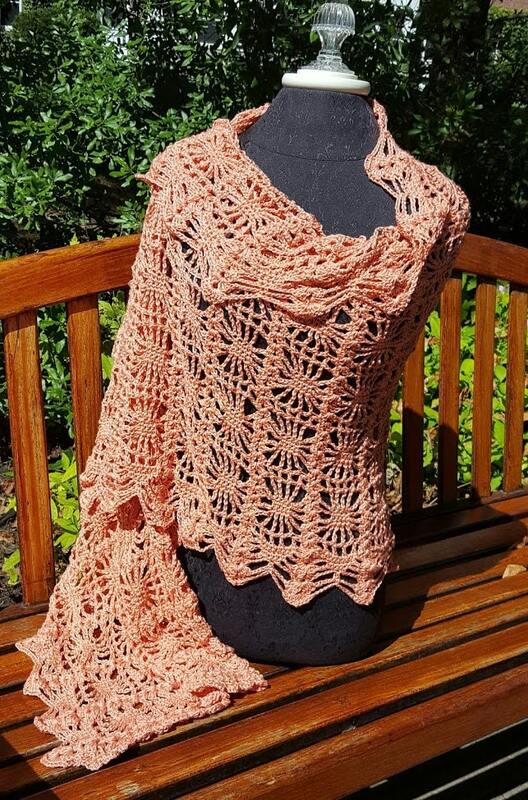 You'll be the center of attention is this lovely spiderweb designed crocheted wrap. 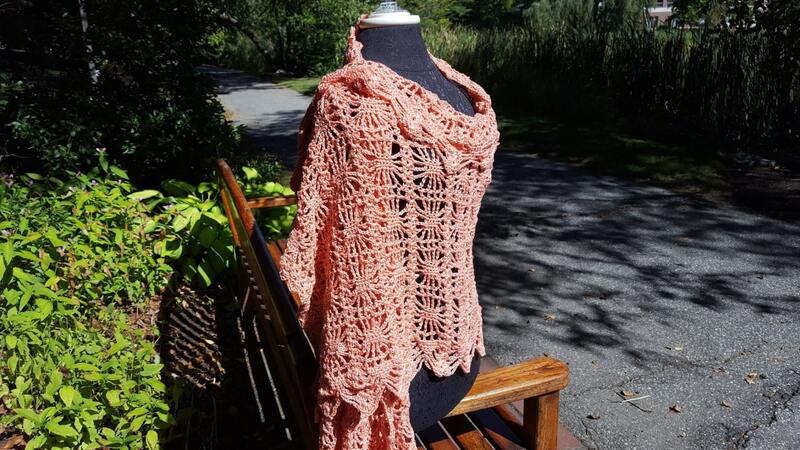 Measuring 24" W x 72" L, you'll find many ways to show off this lovely shawl. 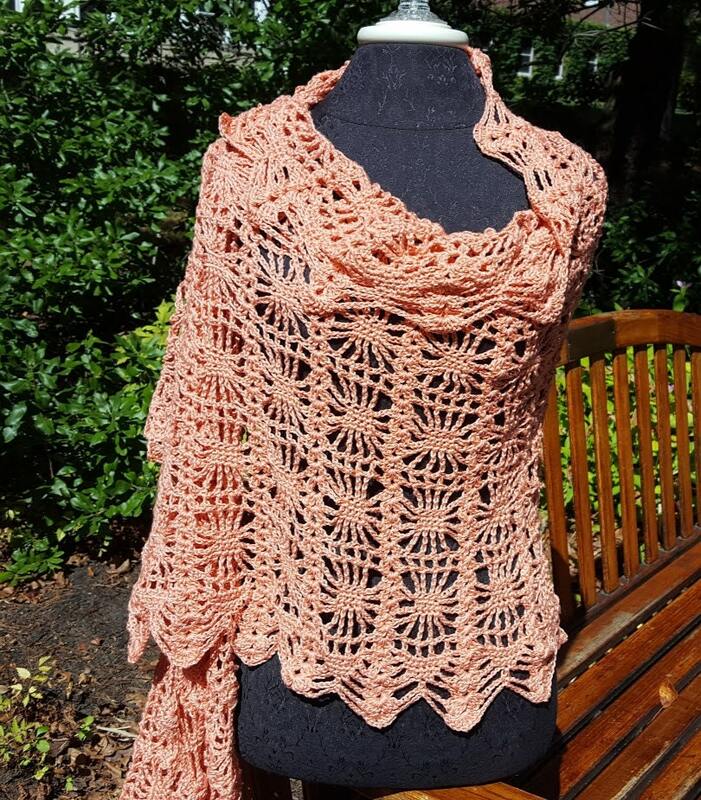 Shown in gorgeous peach pima cotton yarn, this creation can be made in virtually any color you choose. I've shown some sample colors for you to view. These shawls would be absolutely beautiful for a wedding party. 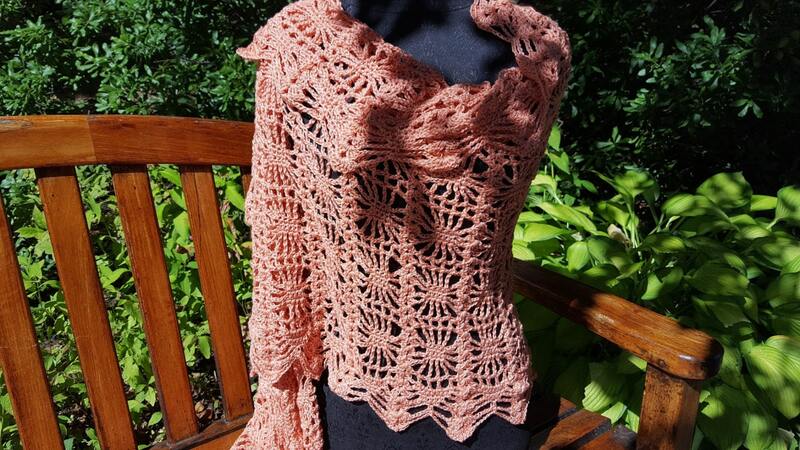 Would you like a shawl in a different size, don't hesitate to contact me for a custom order!